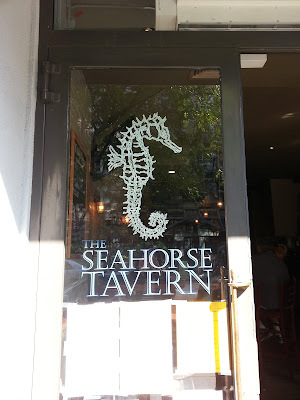 I have had my eye on The Seahorse Tavern for a couple weeks now and finally had the chance to check it out for brunch recently. 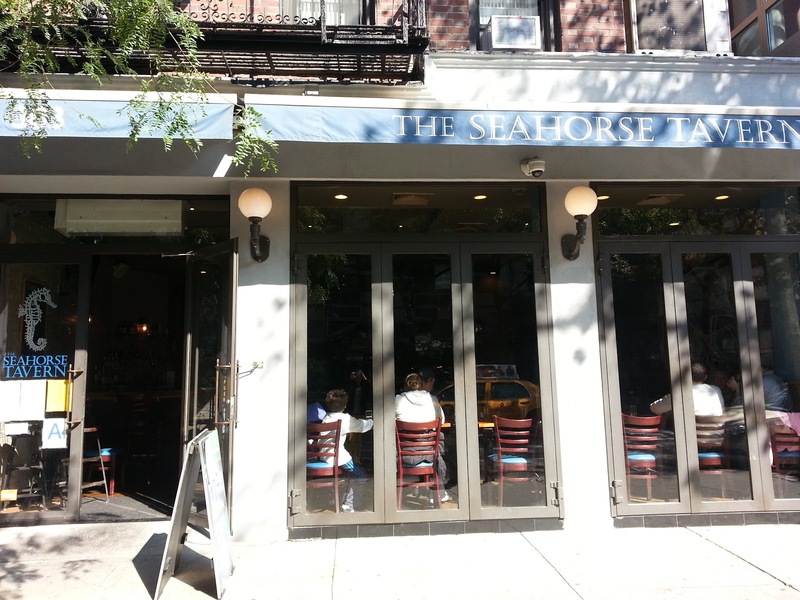 Located on the upper east side, this little seafood eatery was perfect for a low-key casual brunch. 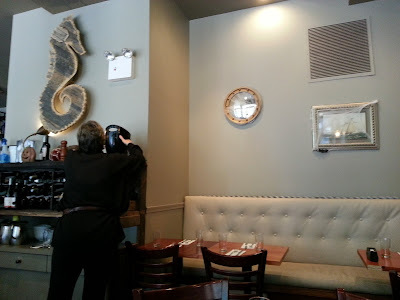 I loved the brick wall and simply decorated space! 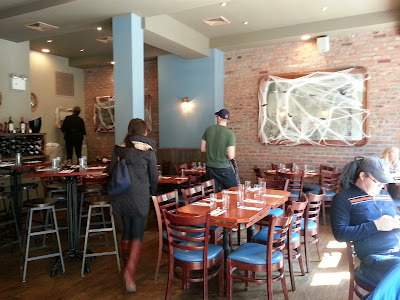 Had a bit of a 'New England seafood restaurant by the sea' feel hehe. Looking at the brunch menu, most of the items have a seafood twist to it which makes me super happy. Even better? You get a drink with your meal yayyyyyy! 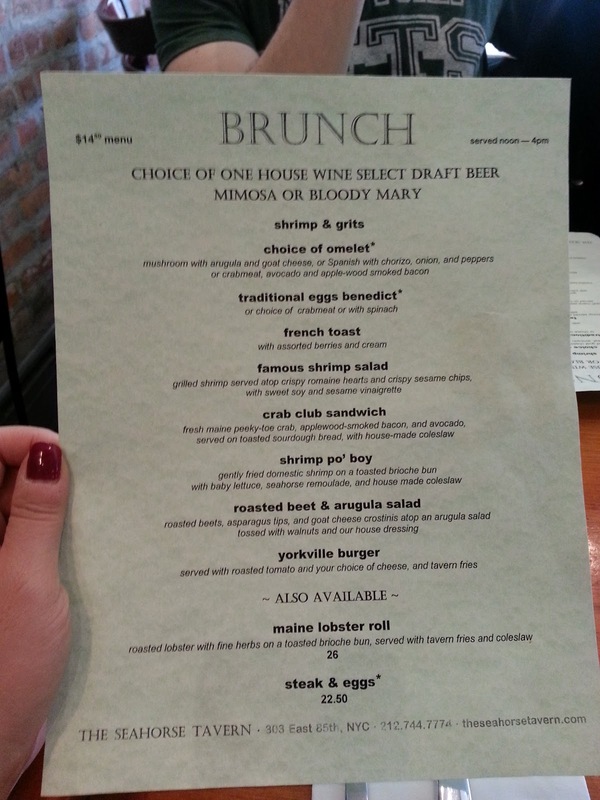 While it's not a big menu, there is a pretty good variety including egg dishes, sandwiches, salads, and a burger. Definitely something for everyone! 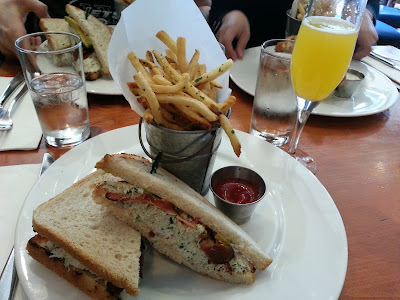 Dining buddy and I went with the Crab Club Sandwich and the Shrimp Po' Boy. The Crab Club Sandwich was served with bacon and avocado. 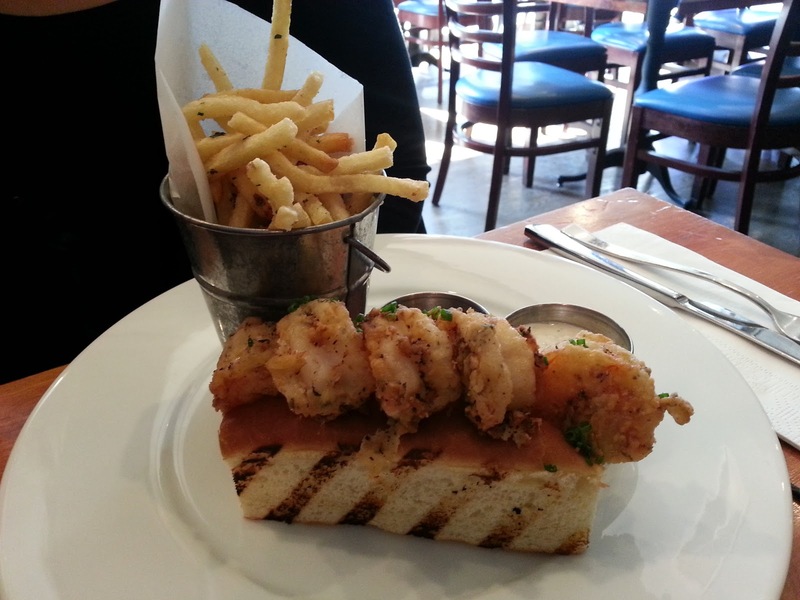 Shrimp Po' Boy came with crispy huuuuuge shrimp on a toasted brioche bun. Both were tasty and came with a side of fries. Delish! 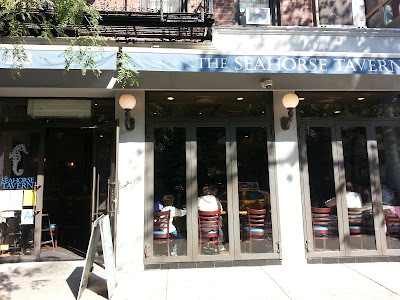 I'm glad I finally got a chance to stop by The Seahorse Tavern! I enjoyed the relaxing feel of the space and the seafood based brunch dishes. Looking forward to stopping by for dinner! The Kovalam beach offers a plenty of and diverse options like swimming, sunbathing, ayurveda, herbal body massaging, cruising, cultural programs, sunset watching, etc. Surly spending few days on Kovalam beach will be a unique and pleasant experience that will last forever.